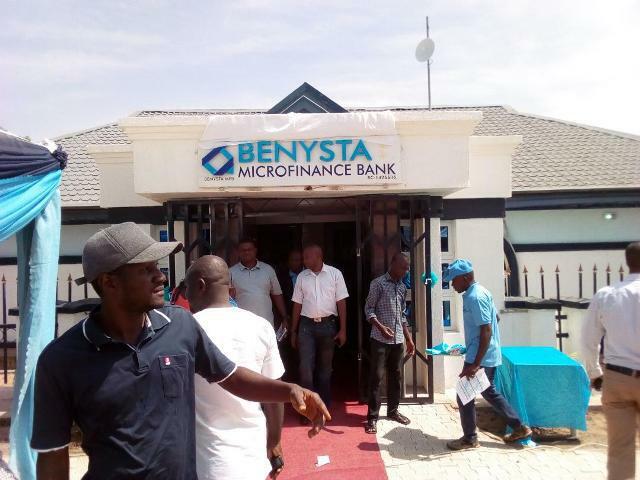 Benysta Microfinance Bank, a lending bank built by indigenous businessman and industrialist, Architect Asema Achado has been officially opened for transactions in Makurdi, the Benue State capital. Commissioning the venture, Governor Samuel Ortom employed other Benue indigenes to be innovative and always strive to make impact in the lives of others not minding their little capacity. Gov. Ortom appreciated Arch. Asema Achado for keying into his government’s developmental vision which is aimed at creating enabling environment for businesses to thrive. The governor while describing Achado as a committed man who is determined to contribute to the development of the state, enjoined Benue people to take advantage of the microfinance bank in order to upgrade their businesses. Earlier in his speech, the CEO of Benysta Microfinance Bank, Arch. 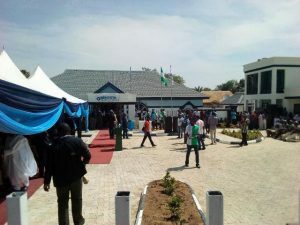 Asema Achado said the innovation was part of his desire to render impactful services to the teeming Benue populace. Arch. Achado who expressed his passion for always domesticating his investments, called on business minded people to feel free to access viable loans without fear of being shortchanged. He added that the N2 billion funds set aside by the Ortom government to encourage small and medium scale Enterprises can also be accessed from Benysta Microfinance Bank.